As you read this, it has started around the world, but let me whishes you all a new year fill with health and happiness. At this time of the year it is also a good idea to look back at what we accomplished and start making plans (some call them resolutions :-), for the upcoming year. Fix that small drone for my son. Install a 6X6 beam in my shop for installing my post drill. I need the right weather to do it outside. Works with my son on his projects. A work in constant progress, should be able to finished it in 2019??? Make some progress rehabbing my ever growing piles of rusty objects. Did experiment with my first complete strip and repaint restoration (BBM) and metallic brushes (wire wheels). As a result I have upped my game doing restorations. Another long standing want, ever since moving here. Keep getting push back in priorities. First we had to cut down the leaning tree in front of it (done) then we measured out and start plans for the deck. After the initial sticker shock for the estimate, decided to proceeded in 3 phases. Built first level, then lower deck, then add the structure on top of main level. In prevision for cutting down a few trees around the properties, built a bigger and proper fire pit to burn the resulting branches etc. Numerous trees were cut around my property line in prevision of building a fence in the back yard. Others were removed for being to close to the house and in the way of future projects. A spot has been cleared and made more "level" for the upcoming greenhouse and outdoor dining room. SO... what in store for 2019? As long as the paperwork is updated and approved, you are allowed to carry over resolutions. At least you can remember last year's plans. I'm having trouble with yesterday's :-). 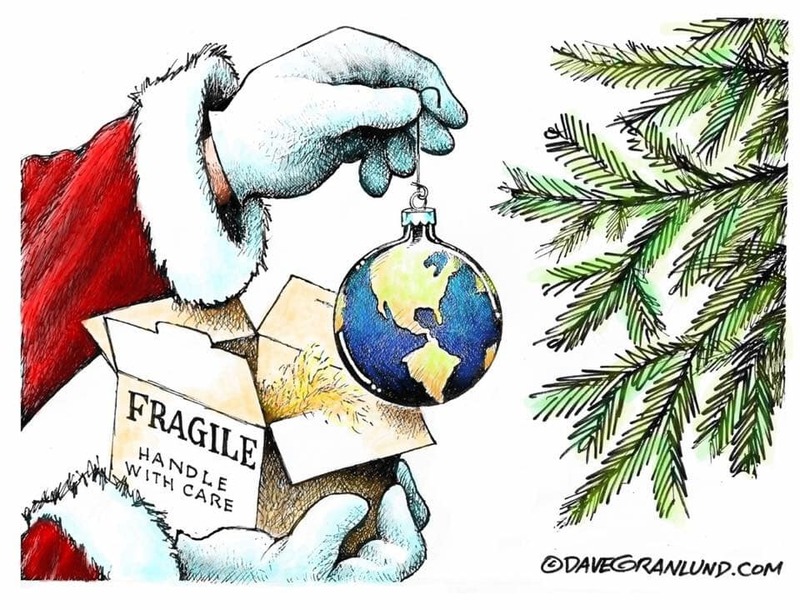 Let's hope for a better year to come if not this then next and maybe we can start taking care of the tree ornament. Best to you and yours in the new year, Bob. Knock a few things off your list and keep the history lessons coming. Same to you Matt, health and happiness in the new year to you and your love ones. As i keep cleaning/restoring tools, i will keep on telling their story. Bob, getting forgetful. Anyone seen my glasses?? Hi Jonas, good to hear from you. From our family to yours, here is to a 2019 fill with health, happiness and loving memories of your mother. I particularly like the subtle message of the picture.